If you are looking for the perfect date night restaurants in the Queen City, look no further. Charlotte has some fantastic places to experience great food, wine, and ambiance with your significant other in the most romantic of settings. These 11 places are some of our favorites to visit for that special date night or time alone. Put them on your list for after the holidays, you’ll surely need a night out! Stagioni is an amazing little Italian restaurant located in Charlotte's well-known Myers Park neighborhood on Providence Road. The restaurant was opened in 2014 inside the historic Reynolds-Gourmajenko Mansion, the city's only Tuscan villa that was built as a residence in the early 1920's. 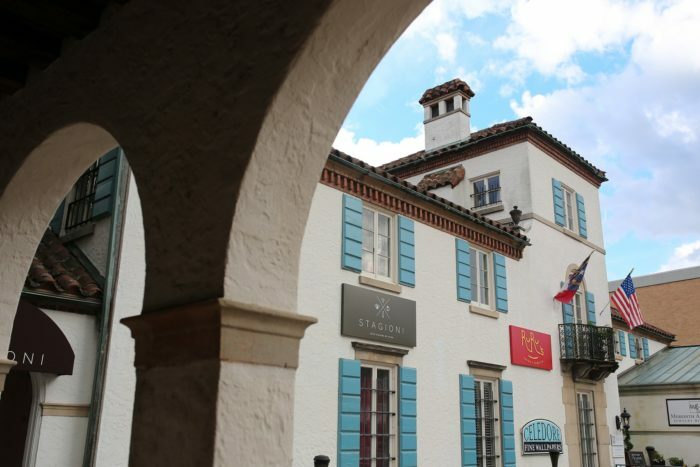 The architecture alone of this building is stunning and there is nothing more romantic than the restaurant's breathtaking courtyard, large piazzas, and exquisite Tuscan design. Featuring classic Italian cuisine with a modern twist, the food at Stagioni is just as appealing as the atmosphere. The name Stagioni is Italian for "seasons" thus the restaurant offers a seasonal menu of delicious handmade pastas, wood-fired pizzas, and slow roasted meats. One of our favorite dishes offered at Stagioni is the Spaghetti de Pepe topped with pan seared scallops or the Grilled Pork Chop with an apple glaze. Your server can offer great wine suggestions that pair perfectly with your meal. If you like Italian and romance, Stagioni is definitely the place to celebrate your next special occasion. 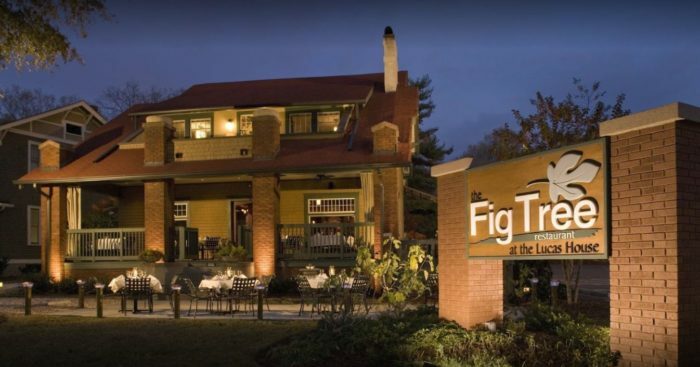 The Fig Tree in Charlotte's charming Elizabeth neighborhood has been offering locals an unparalleled fine dining experience and cuisine since it opened in 2005. Set in a cute little neighborhood bungalow, the Fig Tree is a quiet little Charlotte gem where you and your significant other can enjoy great conversation, company and food all at the same time. The Fig Tree features a unique French and Italian inspired menu and uses the best seasonal, locally sourced ingredients in all of its dishes. 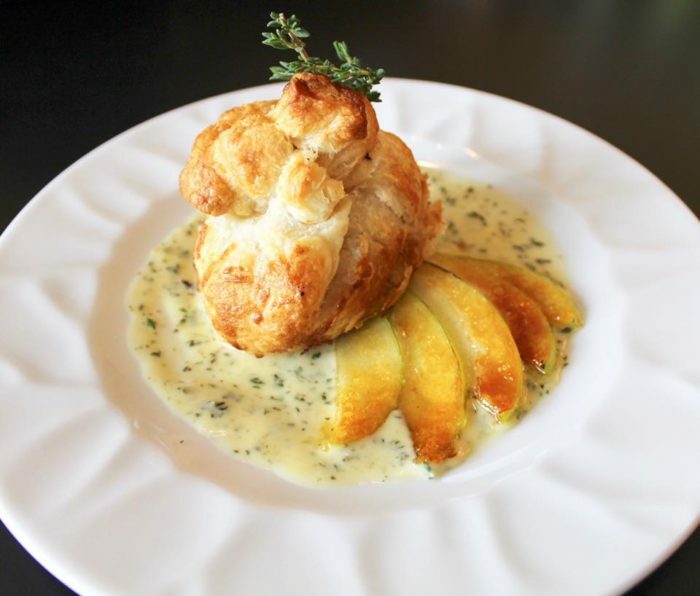 Appetizers like the Beggar's Purse — savory puff pastry filled with diced apples, yellow onion, toasted walnuts and crumbled gorgonzola, in a pool of warm thyme beurre blanc — make us all warm and cozy inside. And entrees like Lobster Thermidor, Filet Mignon, or a delicious New Zealand Elk Chop will have your mouth watering before you even order. The Fig Tree is a great place to go if you are looking for an intimate setting and unique and tasty dishes on your date night out. 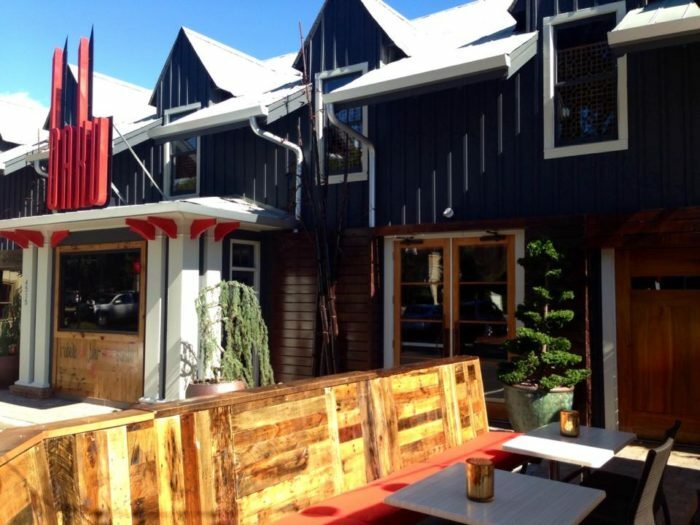 Baku is a modern Japanese restaurant in South Park that offers a range of sushi rolls and traditional Japanese dishes prepared in an open kitchen. With a trendy, stylish atmosphere Baku is a great place to head out for a light-hearted and fun romantic evening with your favorite person. The menu consists of colorful cocktails paired with great sushi options if you are looking to try a new sushi place in the QC. If you're not into the raw fish, no problem! 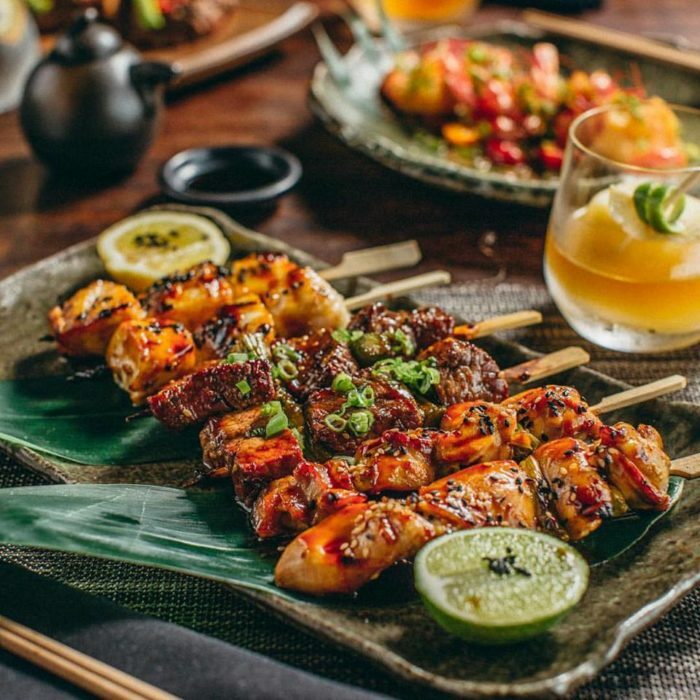 Baku offers a number of other options like Chicken and Beef Skewers, Pork Belly, Chilean Sea Bass, and more. Part of the fun of this restaurant is being able to see your food being prepared in the open air kitchen and watching all the other colorful dishes come out all evening long. 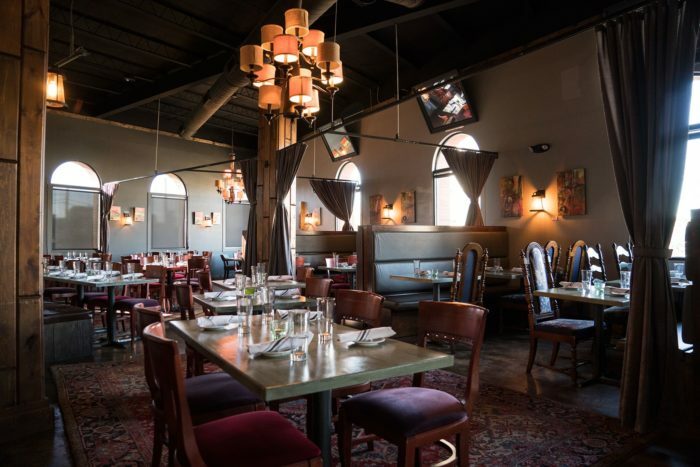 The Crepe Cellar Kitchen and Pub is a cozy, little spot in Charlotte's artsy NoDa neighborhood. 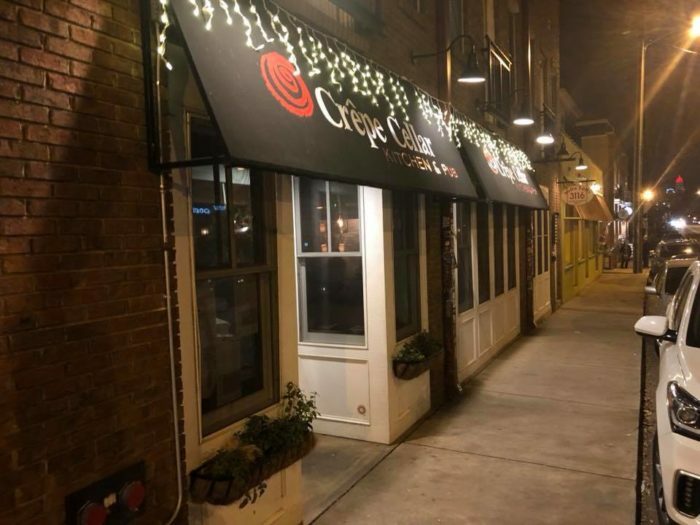 A favorite with the locals, the Crepe Cellar is a perfect place to share a cocktail and some delicious food with your spouse or significant other. The menu features a variety of sweet and savory crepes and the options are so endless, you may want to order at least a few to try and share. 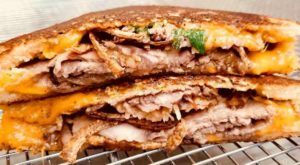 Savory crepes like the Turkey, Apple Brie or the Spinach & Wild Mushroom are great to start with, or if you're not a big crepe person, entrees like the Steak & Frites or Pan Seared Scottish Salmon are also delicious. 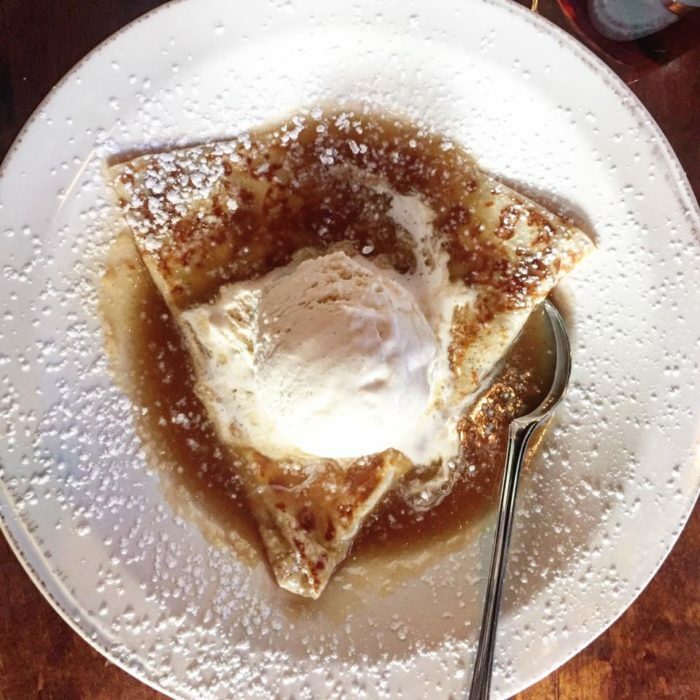 The dessert crepes are to die for, and before you leave you must treat yourself to the Crepes Suzette made with a Grand Marnier butter sauce and served with vanilla bean ice cream or share the Banana's Fosters, which is so scrumptious! 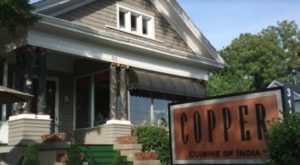 Good Food on Montford is a fantastic tapas-style restaurant located on Charlotte's popular Montford strip. 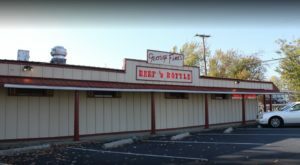 This is a wonderful place to enjoy amazing food on date night as well as a lively atmosphere. The space is small, yet inviting and many locals enjoy a drink from the bar before being seated. 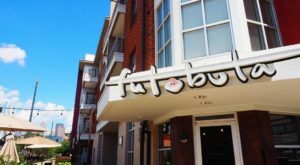 A great place for sharing, you and your significant other will definitely get cozy and comfortable as you enjoy some of the best food in Charlotte. 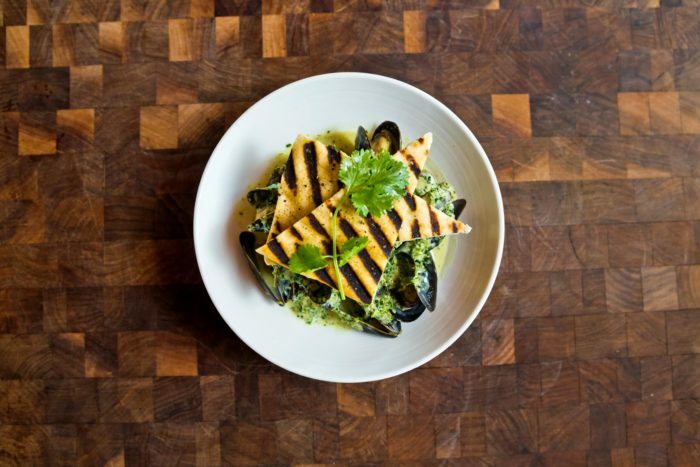 The Prince Edward Island Mussels are always a crowd-pleaser served in a green-curry, coconut milk sauce with cilantro and toasted baguettes. And the Beef Carpaccio with fried pickles, pimento cheese, ranch, and beer gastrique is unlike anything you've ever tasted before. The menu categorizes its tapas by Chilled, Warm, Pasta, Pasture and Sea. If you are feeling adventurous, try one from each part of the menu — we promise you won't be disappointed. 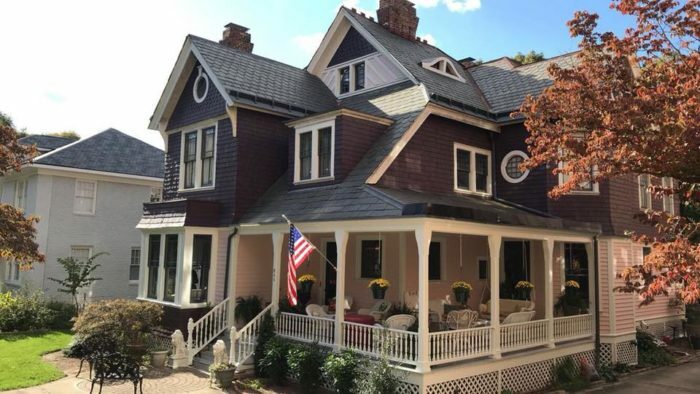 The McNinch House Restaurant is operated in a historic Victorian home in the Fourth Ward of Uptown Charlotte that used to belong to Charlotte Mayor Sam McNinch. 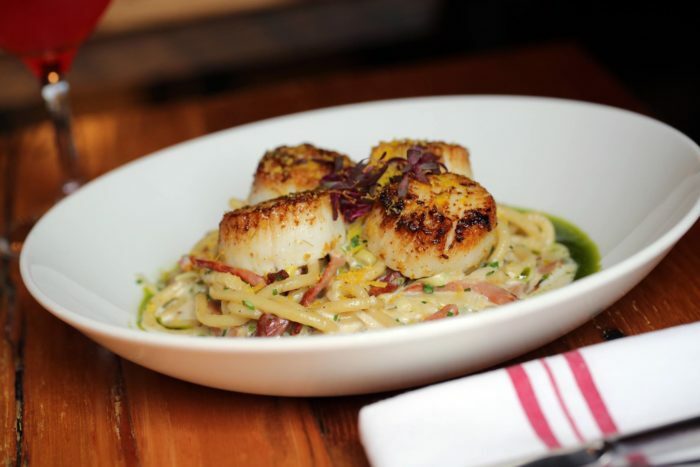 Serving Charlotte locals for more than 22 years, the McNinch house is a quintessential pick for a romantic meal in the Queen City. Featuring a set-menu of seasonal, continental fare, the McNinch House offers plates just as beautiful as their elegant Victorian setting. 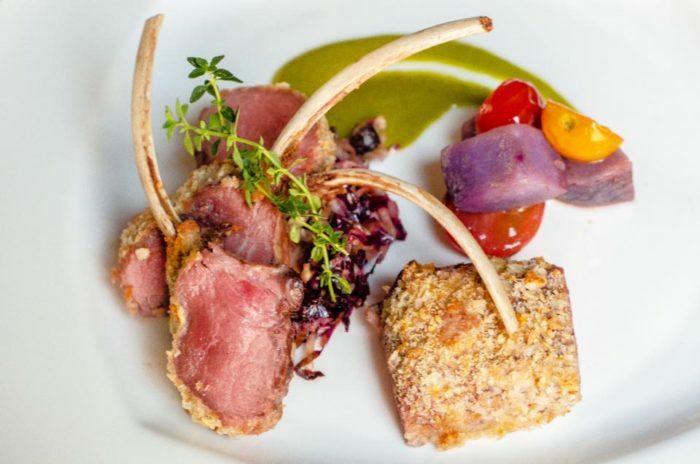 A Rosemary & Dijon Crusted Rack of New Zealand Lamb seems to be the big hit on this year's fall menu and is served with blistered cherry tomatoes, carrot spirals, chiffonade cabbage, roasted purple potatoes, and a beautiful chimichurri sauce. The Pan Seared Duck with cranberry and mushroom stuffing, fried polenta bites and green beans is also a fantastic choice paired with a nice Cabernet from the wine cellar. After dinner take a romantic stroll through Fourth Ward and check out the holiday lights on the quaint streets of Charlotte. It's the perfect date night with that special someone! Luce is a modern Italian restaurant Uptown that features a fresh menu of Northern Italian inspired cuisine. The perfect place for dinner before a night out on the town, Luce offers a sophisticated atmosphere with great food and beverages. Glittering chandeliers adorn the space and the beautiful Italian artwork hangs on the walls at this lovely restaurant. Enjoy a light meal of brushetta and calamari before you head out for a night at the theater or dancing. 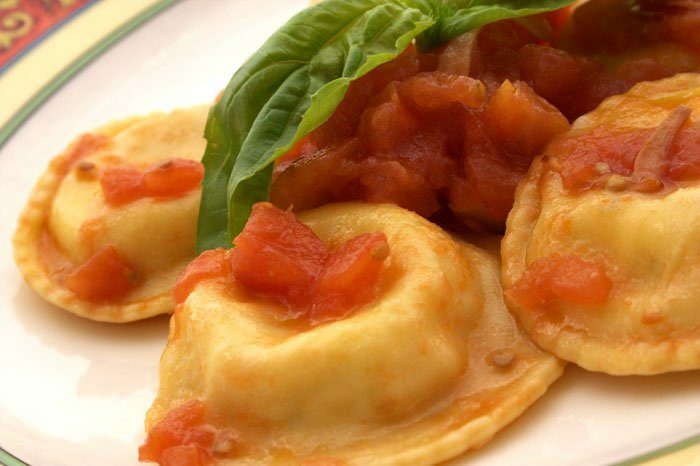 Or indulge in a full Italian five course meal with appetizers, antipasti, pasta, entrees, dessert, and your favorite wine. All the pasta is handmade and served in delicious homemade sauces and entrees like Veal Chop stuffed with spinach and fontina cheese or the Petit Filet Tournedos with a black truffle demi, grilled asparagus and crispy potatoes are hard to pass up. Either way, you'll adore the food and service you receive at Luce. 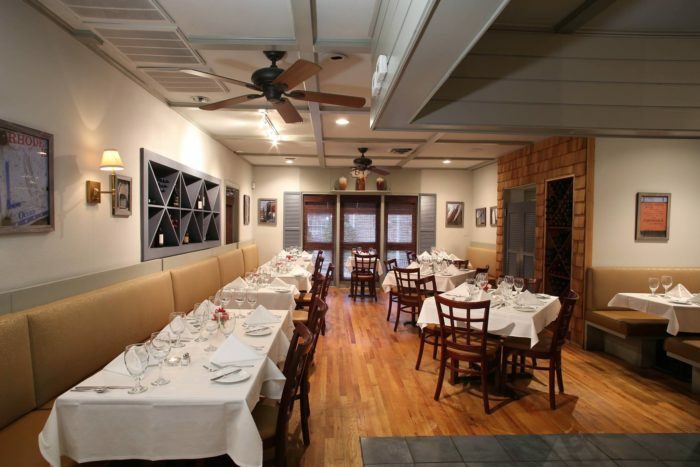 Barrington's has been considered one of Charlotte's best fine dining restaurants for many years. 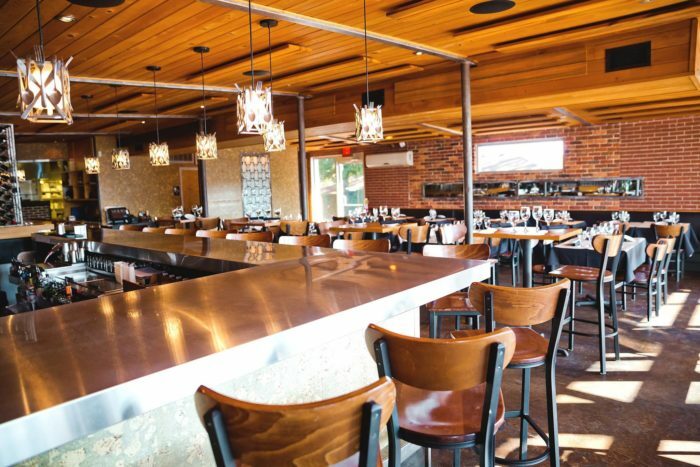 Topping many of Charlotte's "best of lists" since it opened in 2000, Barrington's is definitely a place worth visiting if you haven't yet already. Serving high-end, locally sourced American cuisine in a bistro-like setting, eating at Barrington's feels more like hosting a dinner party at your home as the small restaurant is homey and welcoming. 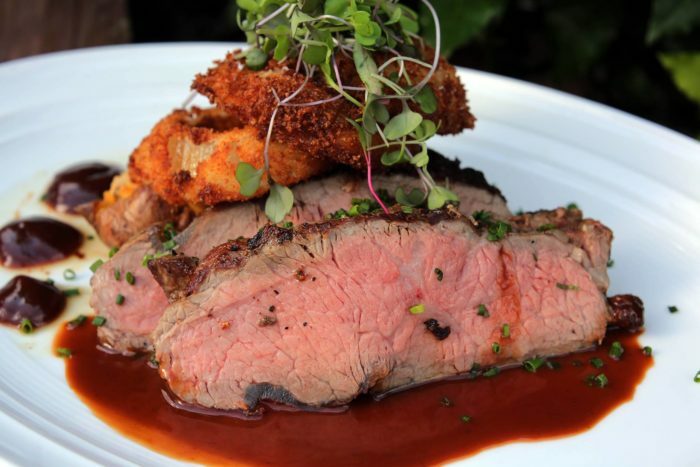 The menu features dishes like a Seared New York Strip with a pimento cheese twice baked potato, wilted spinach, onion rings, and a house made steak sauce. Or the North Carolina Trout with sweet potato grits, kale, and caramelized onions makes for a perfectly delightful southern meal. There are also quite a few handmade pastas on the menu for those who wish for something more hearty, and the wine list is expansive complete with selections to match any of the menu items. 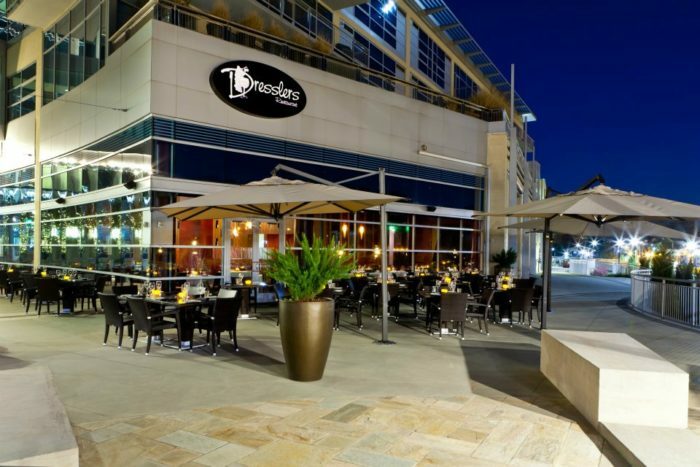 Dressler's is an upscale steakhouse located in Midtown Charlotte at the Met. If you are looking to enjoy a delicious steak with your significant other in a modern and romantic setting, this is the place for you. 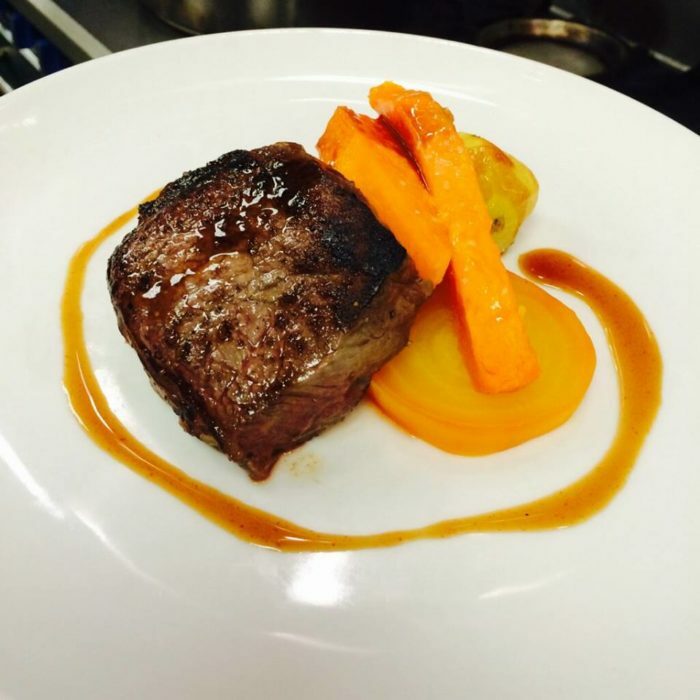 Dressler's has an amazing menu featuring a variety of steaks, seafood, and more. When the weather is nice the patio offers an amazing view of the city and provides the perfect romantic setting. And the interior of the restaurant is absolutely beautiful, so either way you and your significant other will enjoy a romantic meal. Bistro La Bon is an eclectic small plates and tapas restaurant in Plaza Midwood which is perfect for a night out with your spouse or partner. 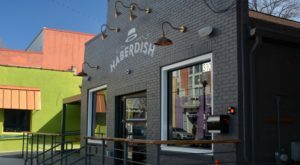 Serving a seasonal menu of small plates for sharing or larger entrees for those who like a big meal, the food is fantastic and the flavors are perfectly combined at this local favorite. 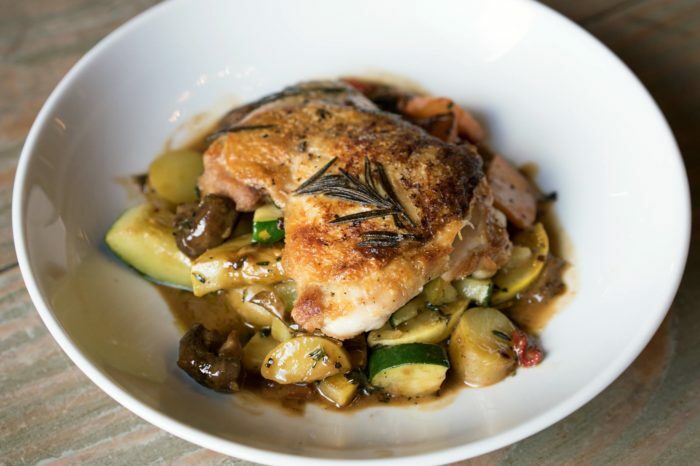 The Swedish Meatballs and the Pan Seared Gnocchi are a few of our favorite small plates and the Springer Mountain Rosemary Chicken is absolutely divine. 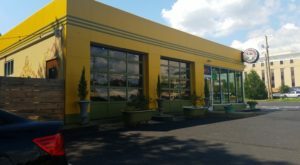 Bistro La Bon is an awesome place to start if you and your date are looking to bar hop around Plaza Midwood and a great place to enjoy a bottle of wine and linger for hours. 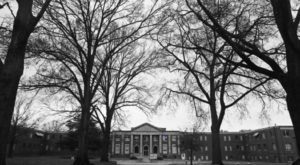 Bernardin's is a five-star fine dining restaurant located in Charlotte's historic Ratcliffe Building Uptown. Known for its impeccable service, elegant atmosphere and outstanding cuisine, this is THE place to visit if you are looking for the ultimate fine dining experience. The menu features exquisite dishes of lamb, beef, chicken, and seafood. 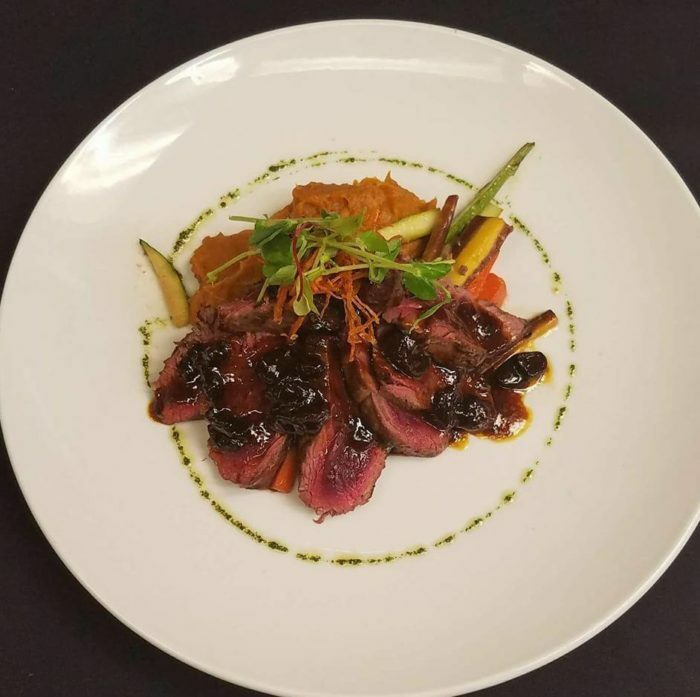 And you'll find the most unique of items here like this Grilled Emu with cranberry Madeira sauce, Murisaki sweet potato puree, zucchini, asparagus, heirloom carrots and Chantelle mushrooms. If you live in Charlotte you must try Bernardin's at least once. 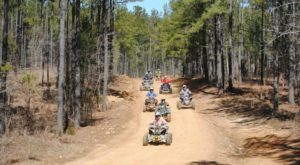 It's an experience like no other and one you will not forget. 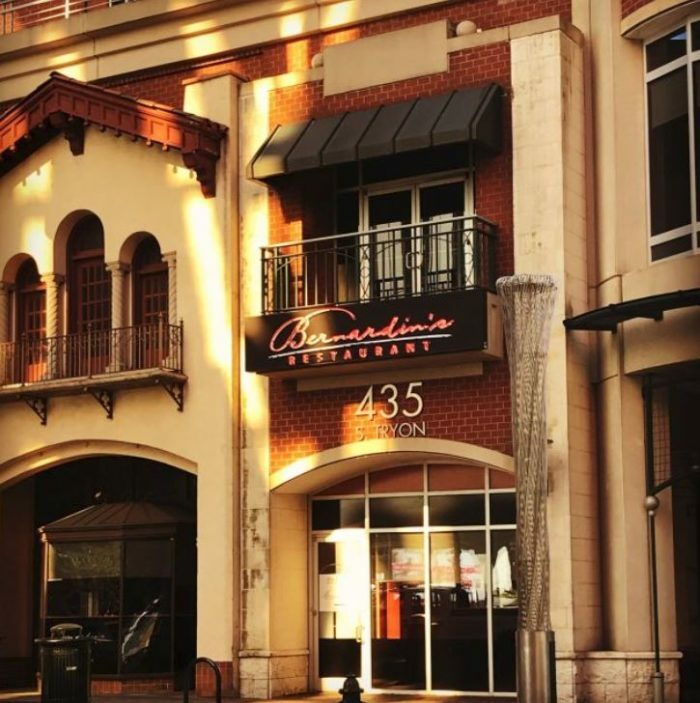 What are your favorite romantic restaurants in Charlotte? Share with us in the comments, or share your photos at @onlyincharlotte on Instagram or OnlyInCharlotte on Facebook. Enjoy!